At the Presidential debate, some suggested Mitt Romney caught the President off guard by “stretching” the truth. 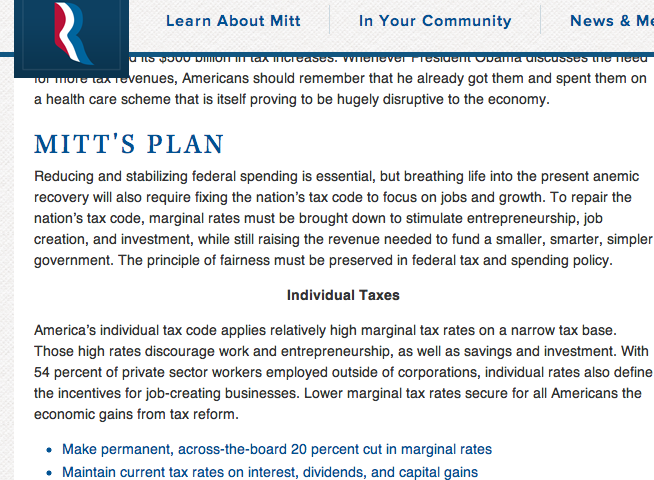 So you can see how it may be hard to debate someone who is saying to your face that he will not cut tax rates of the wealthy, however, is promising on his web site that his plan is “across-the-board” tax cuts. In fairness, we don’t recall Mitt saying during the debate that he knows how to use the internet or visits his web page. So what kind of tricks could Paul Ryan pull out of a hat to surprise and frazzle the seasoned Joe Biden at tomorrow night’s debate in Danville, Kentucky (9:00 p.m Eastern)? 1. Paul Ryan could tell Joe Biden that after making a wish last night, their bodies switched just like the movies 17 Again and Freaky Friday. Biden will totally be unprepared to debate someone claiming to be young Joe Biden! 3. Paul Ryan could switch all of the clocks in the room and tell everyone the one-and-a-half hour debate is over after 20 minutes, much like when he said he ran a marathon in 2 hours and fifty something minutes, but reportedly really ran it in over 4 hours. Tags: debate, Humor, movies, music, Politics, postaday, television, TV, U.S.
I’m surprised that Mitt even bothers to have a website, considering how uninterested his fan base seems to be in checking his basic facts and positions. Baseballfordinner has an interesting new story about to break on Mitt before the debate, we will release it on Tuesday morning.